The making of the perfumes bottle Teddy! I have developed a fictional brand name and logo inspired to each of these celebrity artists: Damien Hirst, Tracey Emin and Grayson Perry. I have come up with: Diamonds & Heist, Eminent and Miss Clair. I am now creating special fragrances and artistic perfume bottles with the objective of reflecting the parodic interpretations of these three artist’s ‘brand essence’. Teddy perfume bottle is inspired to Alan Measles, Grayson Perry's childhood companion of visionary adventures, often a centrepiece of his artwork. For the fictional brand essence of Perry, I wanted an old fashion teddy bear with a twist. I started looking for a piggy bank from the XIX century and bought one on an auction. 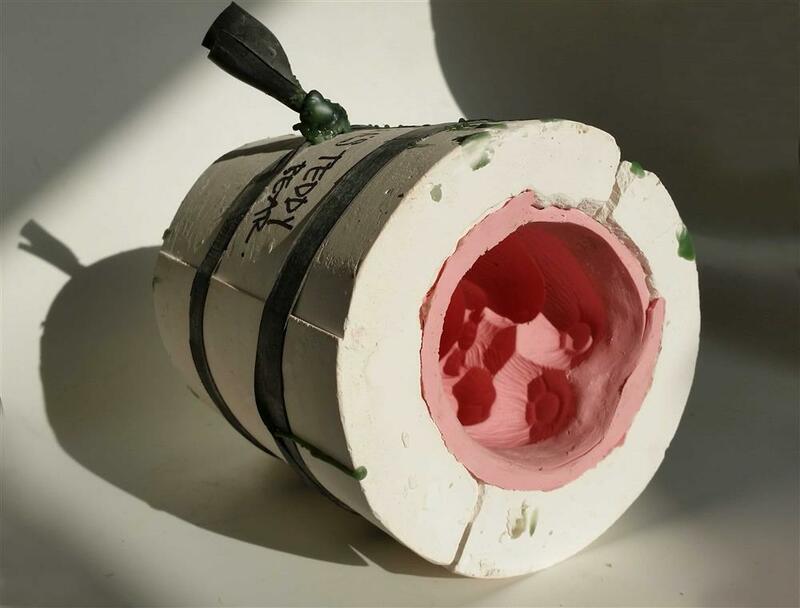 I then had to prepare a mould for the glass casting. 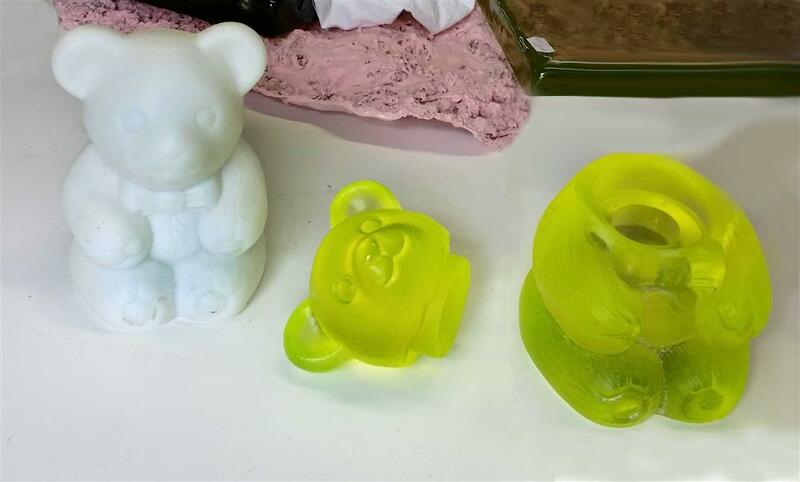 Max Jacquard had kindly agreed on a collaboration, but the original bear was too small, to make a statement sculpture, so took Teddy for a 3D scan. However, the resolution of the first scan was not revealing the hair of the bear coat, so I had to try different studios, until I was finally able to 3D print a high resolution bigger bear! 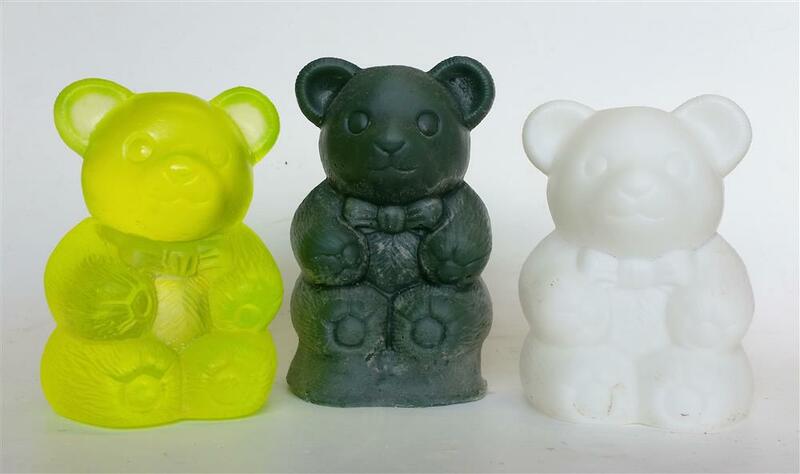 Below is a photo of the three stages of the bear; 3D printed (white), wax model (dark green) and the finished sculpture. What I love the most about this piece is its colour-changing glass. I have totally fallen in love with this fluorescent yellow: an unpredictable glass, that embraces its dual colour nature and Perry's double persona. It can look very cute and also quite sinister." The head of the bear functions as a cap. 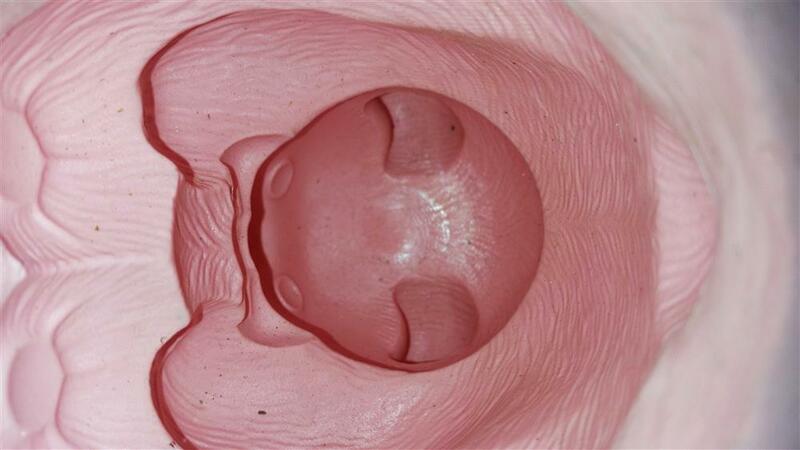 The sculpture tries to resemble a perfume bottle also in its interior design which could contain perfume.